Story from the UNM Newsroom. To read the full report click here. A new study released by political science professors at The University of New Mexico could change how the state regulates and records public campaign financing. The report, released this fall by The Center for the Study of Voting, Elections and Democracy looks at the landscape of public campaign finance in New Mexico, including comparisons of the candidates who take public financing with those who do not, voter responses and avenues for program improvement. - 54 percent of candidates have accepted public finance in New Mexico, when it was available. - 11 percent more non-incumbent candidates joined elections after public financing became available in N.M.
- 90 municipal candidates in N.M. have been eligible for funding and 57 percent of them have accepted. - 4 out of 5 New Mexican voters would like to see an ethics commission created to oversee campaign finance laws. Public financing offers monetary support to candidates running for select offices on the municipal and state levels. New Mexico is one of only 13 states to have implemented some kind of public financing system. In addition, Albuquerque and Santa Fe are two of a handful of municipalities to adopt such a system. Candidate eligibility is based on successful collection of a certain number of “qualifying contributions” and complying with small dollar limits on “seed money” contributions. Proponents of public campaign finance argue it allows people to run for office who might not generally be able to afford it. In fact, three-quarters of voters surveyed agree that public financing allows candidates to spend less time with donors and more time with voters. The report compares the characteristics and attributes of candidates who participate with those who do not participate, across the offices that offer a public financing option. It also compares the characteristics and attributes of candidates for public office before and after public financing became available in New Mexico. In addition, the report looks at voters’ attitudes towards public financing. It found about 55 percent of New Mexicans agree that public financing should be available to all candidates running for elected office. 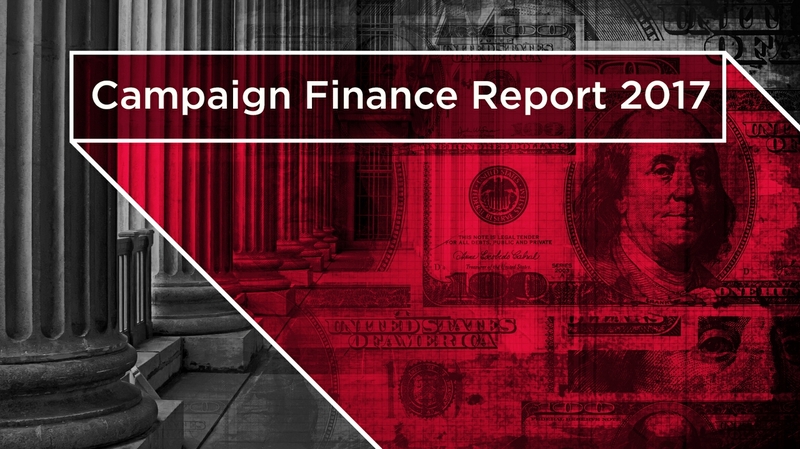 The report concludes by looking at the challenges of making public campaign finance more transparent in New Mexico. Researchers noted it was extremely difficult to put together data on campaign finance because of incomplete or inconsistent record keeping. Find us on the UNM Campus Map: Social Sciences Building, #78, just north of Zimmerman Library.